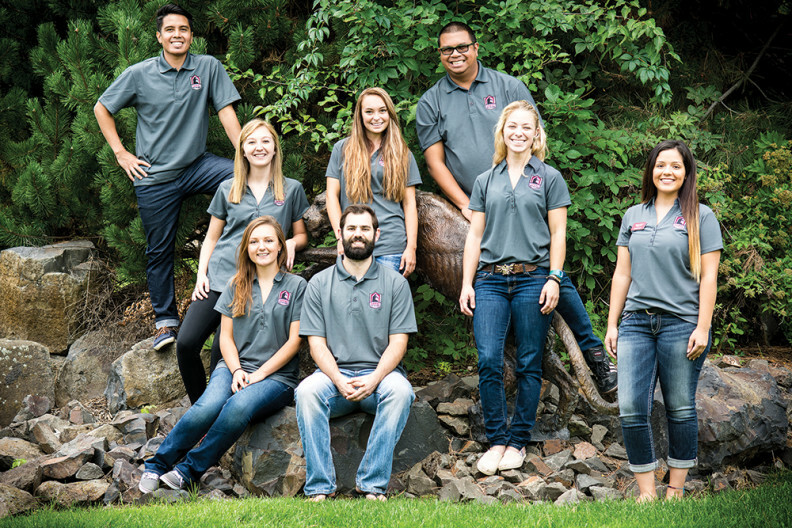 The student leaders at WSU Spokane understand the unique nature of the campus. The average age of students is 28 and there is no on-campus housing. The majority of students are at the graduate or professional level. But that won’t stop the Associated Students of Washington State University Spokane (ASWSUS) from connecting with fellow students and enhancing their experience. 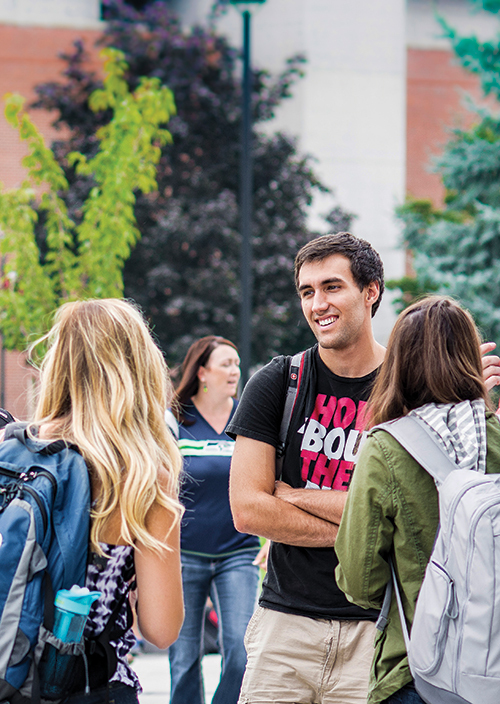 With students living and working in places all over Spokane, communicating with the student body can be a challenge. Robledo said his team has relied on social media to reach students and is working to connect with student clubs on campus. ASWSUS has formed a Student Entertainment Board, a new branch of ASWSUS, to facilitate entertainment options on campus. It hosted an outdoor movie night during the first week of classes in addition to traditional bingo nights and more. Working with other clubs and other student leaders on campus meshes nicely with the inter-professional culture of WSU Spokane. Robledo and ASWSUS Vice President Karl Nacalaban have each embraced that culture. 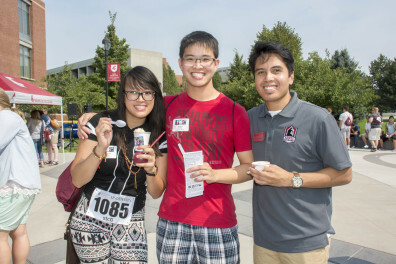 Both Robledo and Nacalaban are pharmacy students and came to ASWSUS after being involved in previous leadership groups. Robledo, from Las Vegas, Nev., was involved with student leadership as an undergraduate at the University of Nevada-Reno. He also served as ASWSUS Vice President during the 2014-15 school year. Nacalaban spent his undergraduate years at the University of Washington and was one of the leaders of his pharmacy class during his first year on the WSU Spokane campus. That experience and a desire to lead students of a different health sciences field led him to become involved with ASWSUS. The needs of students at WSU Spokane are different than those of students at other universities. The students at WSU Spokane are older, and some already have a family of their own. Currently, there is no on-campus daycare, adding to the items many students have to juggle. “It’s definitely tough for them and I don’t have a child myself but at the same time I can see where the struggle might be balancing being a student and being a parent,” Robledo said. Robledo said another goal is to start the discussion of having some sort of student fitness center on campus. He knows it isn’t something that will be resolved before his term is up, but he wants to lay the foundation for that issue. “Students really want that and I feel like it is something that we deserve, especially being a health sciences campus,” he said. Robledo and Nacalaban are eager students who have a sincere appreciation for WSU Spokane. Robledo is visible and works to understand how the issues on campus impact students personally. Top image: Top, L-R: Pierce Robledo, president, and Karl Nacalaban, vice president. Middle, standing: Holly Lian, Student Entertainment Board activities coordinator; Jenny Owens, Student Entertainment Board performances coordinator; Rachel Sullivan, chief of staff; and Talia Avalos, director of Student Entertainment Board. Front row, sitting: Shelby Swanson, Student Entertainment Board PR and marketing coordinator; Mason Grow, director of legislative affairs and outreach.